Henry Hallett Dale was the first scientist who identified Acetylcholine or ACh in 1915. He did an action on a heart tissue. 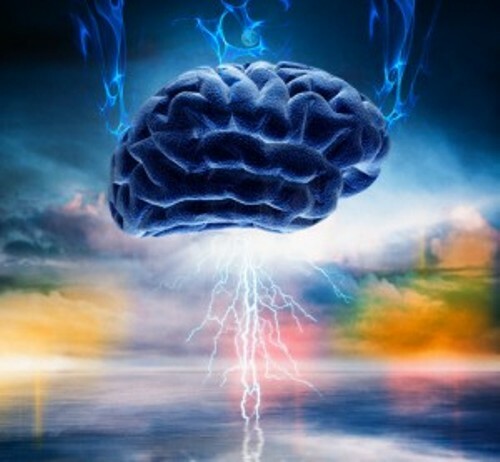 ACh is called as the first identified neurotransmitter in the world of Science. The one who confirmed that ACh is a neurotransmitter was Otto Loewi. At first, he calls this chemical as Vagusstoff. The name was derived from the vagus nerve for it was released from the nerve. Due to their wonderful work on ACh, both Loewi and Dale received a Nobel Prize in 1936. Let’s find out the function of ACh. The main function is as a neuromodulator in the central nervous system and peripheral nervous system. ACh can activate the muscles in the peripheral nervous system. We call it as the primary neurotransmitter in autonomic nervous system. 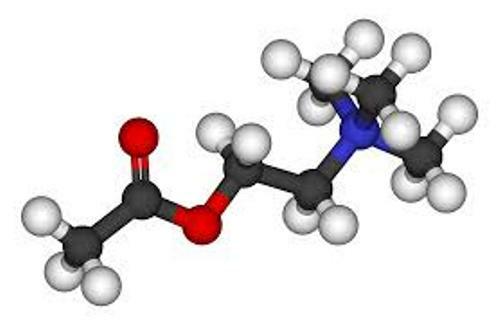 Find out another chemical in acetic acid facts. 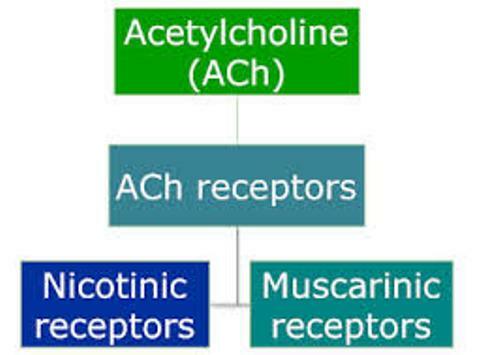 Acetylcholine receptor is abbreviated AChR. You can find two primary classes for AChR. Both are muscarinic acetylcholine receptors and nictoinic acetylcholine receptors. The diseases such as Alzheimer and myasthenia gravis are treated by using ACh Receptor Agonists. The common drug used in the Alzheimer treatment is galantamine hydrobromide which can inhibit acetylcholinesterase. 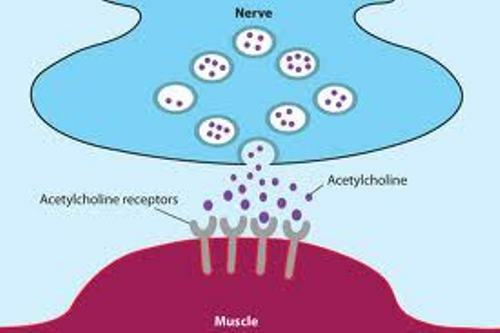 When the patients with Alzheimer disease consume the drugs which inhibit enzyme acetylcholinesterase, it can bring continuous stimulation of the central nervous system, glands and muscles. 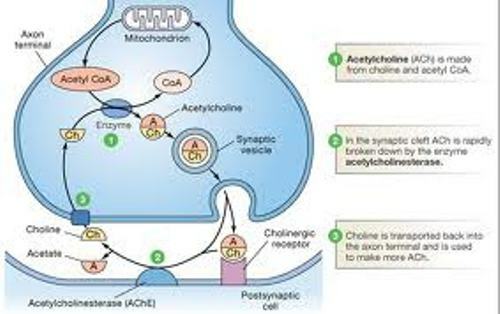 The level of acetylcholine can be increased when the patients consume the drugs which inhibit enzyme acetylcholinesterase. They include Huperzine A, Donepezil, Rivastigmine, Neostigmine and Pyridostigmine. Acetylcholine deficiency can occur in the body if you consume methylmercury and other organic mercurial compounds. Acetylcholine can be synthesized in various ways. You can react 2-chloroethanol acetate with trimethylamine. If you want to know about another synthesis, get facts about acids and bases here. 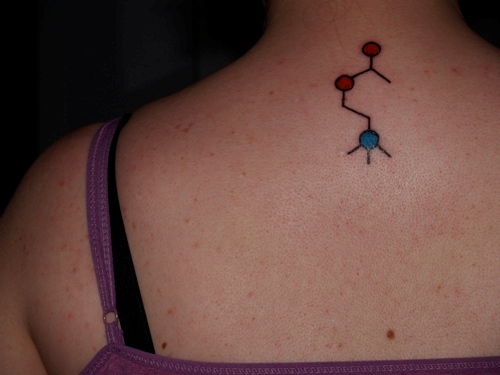 Do you want to say something on facts about Acetylcholine?